For young children , teaching to set goals is an important part of child development for when they get older, and comes with some added benefits. 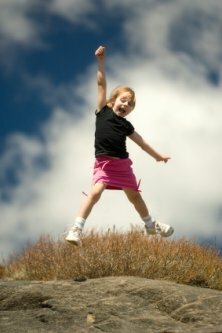 Setting and achieving those goals helps in our children to build motivation and self-esteem. Plus, getting into the habit of setting goals and seeing them through at a young age will help them continue to do so into adulthood. Part of parenting is helping our kids learn the value of setting goals so that when they do grow up they will be prepared for the challenges of life when we may not be around to help them. There are many types goals that can serve those purposes. While ending world hunger would be a wonderful thing for a child to do, kids’ goals do not have to be that ambitious to be beneficial to them. A goal as simple as saving enough money to go to the zoo is good for your child. The key is to start simple and have the child build on their success. For really young kids, or ones who have never set goals before, it is a good idea to start out small. A child’s first goals should not be extremely challenging. It is best if they can be achieved in a few weeks at most. When your child achieves those first few goals, making a big deal out of it provides positive reinforcement. She may not be changing the world, but it doesn’t hurt to praise her as though she were. Tackling these initial small goals will give your child a sense of achievement and get her ready to take on progressively larger ones. Just be sure to consider whether a goal is age-appropriate. If it’s not, suggest something similar but on a smaller scale. What if your child wants to change the world? First off, never discourage such a goal. Some kids are determined to reach big goals. If this describes your child, talk to her about what reaching the goal she has in mind would entail. Children often do not realize how difficult it will be to attain a large goal. Maybe instead of ending world hunger, donate to a local food shelf. Here in Chattanooga, as in most cities, you can also help out with by delivering food to elderly through a meals on wheels program, or help prepare or serve food at local organizations to those in need at a soup kitchen. Plus, there is more satisfaction of being able to tangibly help out in your own community. Once you’ve convinced her to rethink the large goal, help her come up with a similar but smaller one. For example, maybe she wants to buy coats for all of the children who don’t have one. Some more attainable goals might be to buy a coat for one child in need or gather up clothes that she has outgrown and donate them to Goodwill. 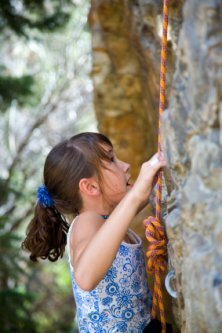 If a child has lofty goals and insists on holding onto them, try to at least help her break them down into smaller ones. Then she can work on one piece at a time. Keeping a list of the smaller goals and checking them off as she achieves them can help her remember that she is making progress. Kids’ goals usually aren’t achievements that make a big difference in the scheme of things. Yet setting and attaining them can set patterns that will benefit them for the rest of their lives. That’s why it is important to encourage goal setting, no matter how small the goal. As a parent, preparing our kids for lifes challenges is one of the best gifts we can give our children. I have been teaching about goal setting with middle school students. I am surprised how unrealistic some can be. These lessons are helpful since it gives them a better perspective on how longs things take and what it takes to accomplish it. Rewarding Kids – What Rewards Are Appropriate?